BNP has said it wants the elections to Dhaka University Central Students’ Union (DUCSU) be held in a credible manner. “We don’t want the DUCSU elections to be held like the national and local body polls. It’s a big challenge (for DU authorities),” said BNP’s National Standing Committee member Nazrul Islam Khan. 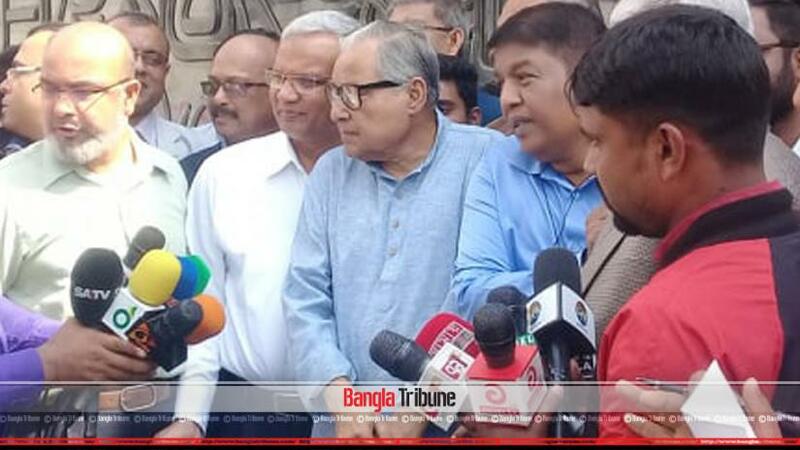 Speaking to media after paying tribute at the party founder Ziahur Rahman’s grave in Dhakaon Monday (Feb 11), Khan said, “There’s a reason to be worried over the DUCSU polls as the university authorities have been appointed by the government. “Different student organisations will force the government and the DU authorities to ensure a credible balloting removing all the obstacles,” said Nazrul. Elections to DUCSU and its hall unions for 25 posts are scheduled to be held on Mar 11. The last DUCSU polls were held on Jul 6, 1990.